Experienced shoppers will recognize red tags as synonymous with deeply discounted items that need to be sold to make way for new things. That same idea applies to Walser Red Tag vehicles; these are the vehicles that have the deepest discounts off the Manufacturer Suggested Retail Price, and the ones that we need to sell in order to make room for new inventory. 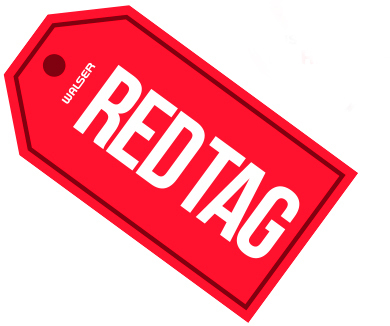 Seeing a Walser Red Tag is cause for excitement - it means that we're working to keep our inventory fresh, and you're going to benefit from the maximum savings on a great vehicle!